The Dodgers were active at the trade deadline and the team’s new ownership group showed a willingness to spend. Nobody saw it coming though, when the Dodgers pulled off essentially the biggest trade (in terms of salary) in baseball history with the Boston Red Sox. At the center of the deal was All-Star first baseman Adrian Gonzalez. After watching the much maligned first baseman James Loney struggle through another season, and aided with the financial ability to absorb long-term contracts, the Dodgers finally found the right deal in Gonzalez. On August 24 the Dodgers shipped Loney, pitchers Rubby De La Rosa and Allen Webster, outfielder Jerry Sands, and infielder Ivan DeJesus, Jr. to the Red Sox for Gonzalez, pitcher Josh Beckett, outfielder Carl Crawford, and utilityman Nick Punto. 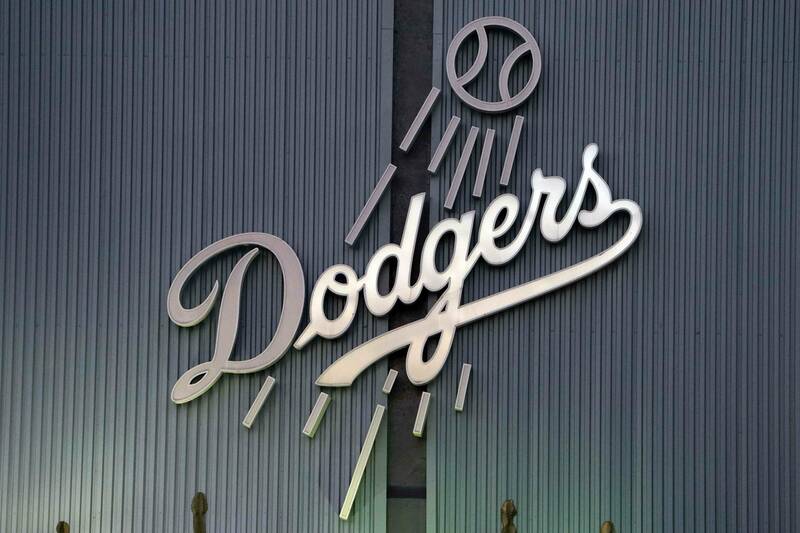 In one fell swoop, the Dodgers had taken on more than $250 million in salaries. Gonzalez rocked Dodger Stadium with a three-run home run in his first at-bat with the club. Although, Gonzalez hit and got on base at around his usual clip, he did not prove to be the RBI machine that baseball fans had been accustomed to seeing in Boston and San Diego. Gonzalez also seemed to come up short in many big moments during his short tenure with the Dodgers. After the season, Gonzalez openly admitted that he had been trying too hard to make something happen. Gonzalez did finish the season with a club best 15-game hitting streak, and brings gold glove-type defense to first base. It was a bit of a down year for A-Gon. The four-time All-Star accounted for his fewest home runs, runs scored, and walks as a full-time player. That being said, Adrian Gonzalez is one of the premiere hitters in baseball, and even a down year for him is a great year for most guys. Adrian drove in 100 runs for the fifth time in six years. He set a career-high in doubles with 47, had his second most hits in a season, and his third highest RBI total. Adrian even stole a career-high two bases. His 2012 line of .299/.344/.806 was not far off his career line of .294/.371/.877. Aug. 25 vs. Marlins – A-Gon made his Dodgers debut drilling a three-run home run off of Marlins starter Josh Johnson. The Dodgers would tag Johnson for 6 runs in three innings and go on to win 8-2. Sept. 2 vs. Diamondbacks – Adrian collected his first walk-off hit as a Dodger, doubling off of D’Backs closer J.J. Putz to score Mark Ellis and Shane Victorino and give the Dodgers a 5-4 win. Gonzo went 2-for-5 with two doubles overall. Sept. 8 vs. Giants – Gonzalez led off the 9th inning with a triple off Giants reliever Jeremy Affeldt and would come home to score the go-ahead run on a double by Hanley Ramirez. The Dodgers would hold on to win 3-2. Sept. 23 vs. Reds – Gonzo busted out the lumber going 2-for-4 with two solo homers in a 5-3 Dodgers win over NL Central leading Cincinnati. Gonzalez hadn’t homered since his first at-bat with the club. Both homers gave the Dodgers the lead. Sept. 26 vs. Padres – Gonzalez went 2-for-5 with a 2-RBI single in the first inning of his second game back at his old stomping grounds of Petco Park. Gonzo went 6-for-15 in his only series of the year in his hometown of San Diego. This was also Gonzo’s 8th straight game collecting a hit. Gonzalez made $21 million last year and is signed through 2018. Along with Matt Kemp and Andre Ethier, Gonzalez should be one of the Dodgers’ cornerstones for years to come. After being on a sinking ship in Boston, Gonzalez came over to a warm reception in Los Angeles. Although, Gonzalez did not help the Dodgers to the playoffs in 2012, he will be a key part of what should be a contending team for many years. Additionally, the four-time All-Star is a huge upgrade over James Loney, who managed to hit only .230 with 2 homers and 8 RBI in his 30 games with the Red Sox. After pressing for most of 2012, it will be exciting to see what a more relaxed and focused Adrian Gonzalez can do in a full season with the Dodgers in 2013. Gonzo will turn 31 next season. PreviousReviewing 2012: What to do with the talents of Dee Gordon? NextReviewing 2012: Time to extend Clayton Kershaw?